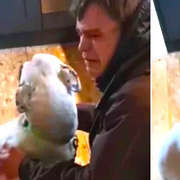 There was one moment that changed everything for a whimpering stray dog who had made a little bed out of a pile of snow — and it was all caught on camera. 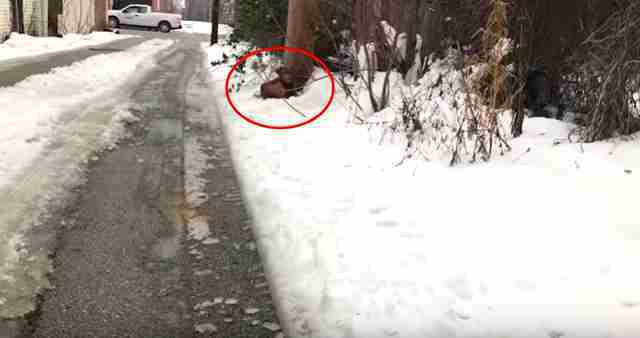 "He was curled in a tight ball in the snow next to an electric pole," Natalie Thomson, marketing and digital communications manager for Stray Rescue of St. Louis, a rescue organization, told The Dodo. 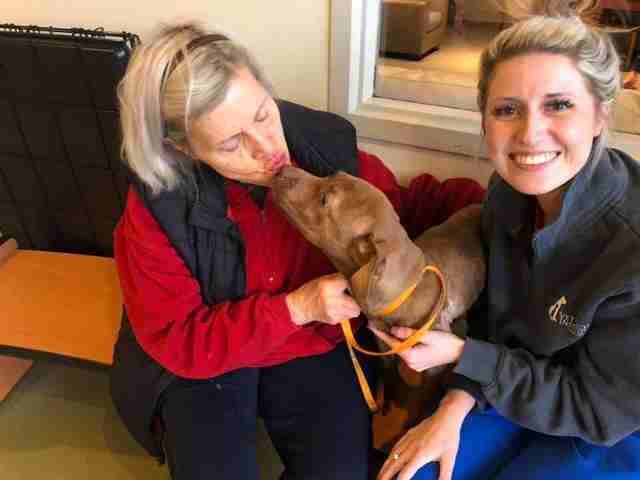 Stray Rescue of St. Louis sent out a search team for the dog after receiving a concerned phone call from a local woman. "Her son had been out walking their dog and came upon this tiny, frail-looking dog in the alley," Thomson said. 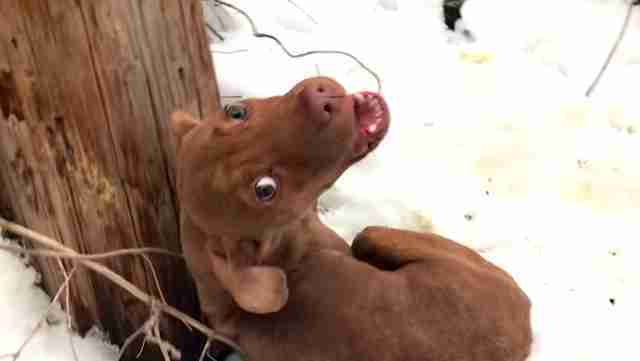 When the rescuer spotted the dog, she filmed the moment with her phone. Wide-eyed and diminished by exhaustion, the little dog can be heard crying, as if asking for help, as she approaches him. 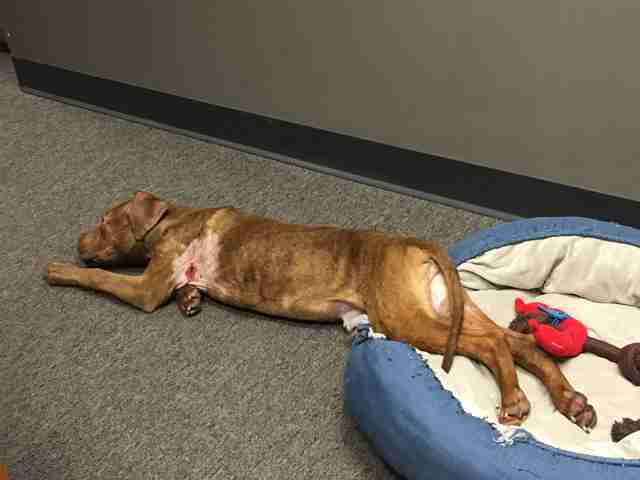 Rescuers named the dog Weezer and brought him to get help. "This poor soul completely broke our hearts in two," the rescue wrote on YouTube. "He was shivering and screaming in fear." "He went straight to our trauma center," Thomson said. An examination hinted at Weezer's troubled past. "It looked as though he had been wearing a harness or a rope at some point in his life that was too tight and became embedded," Thomson said, "although when he was found he wasn’t wearing anything." Weezer rested in his little bed as rescuers tried to arrange a foster home for him, where he could recover from his painful past. Happily, Weezer was in luck. Weezer is currently in a loving foster home where he's discovering what it's like to be part of a family. 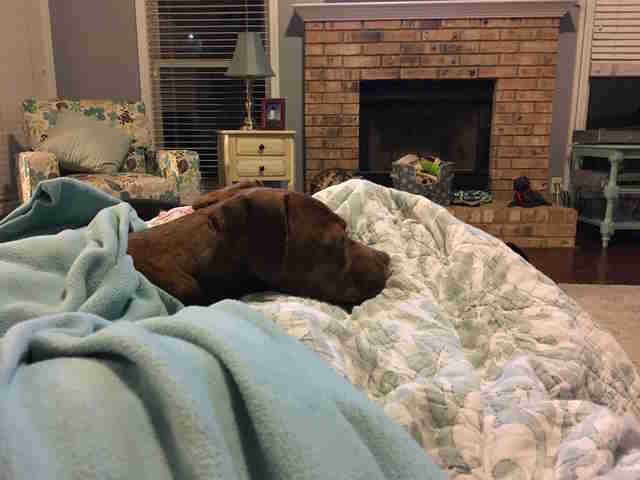 "His foster mom spends time cuddling on the couch with him. He loves to burrow under blankets on the couch with her," Thomson said. "He has even been going to work with her and meeting lots of new friends at the office!" Hopefully Weezer's painful past is rapidly becoming a distant memory for him. Once he's fully ready, he'll be up for adoption, ready to start a whole new happy life. 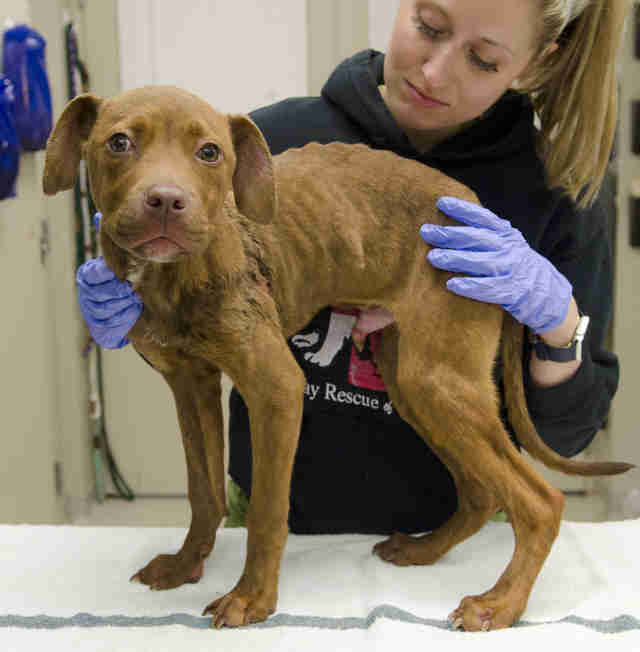 You can help Stray Rescue of St. Louis change lives by making a donation. You can also inquire about adopting Weezer.